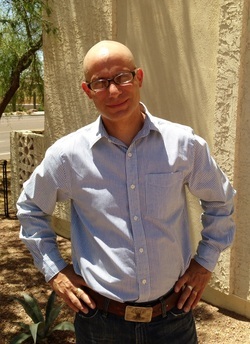 More About Adam Vellturo: Adam Vellturo is a licensed clinical social worker in Arizona. Since 1989, he has been trained to help people of various backgrounds cope with a wide range of problems--from everyday stress to chronic mental health problems. Adam Vellturo has experience providing psychotherapy to individuals, couples and families. His practice focuses on adults as well as teens and children. In his own words: I use a variety of techniques and experiential methods to help my patients access and process underlying emotional blocks. Since each person brings uniqueness to the session, I tailor my work to meet individual needs, though the process itself is consistent. I primarily draw from the theories of Gestalt, Jungian, and Mindfulness Cognitive Behavioral Therapy. All of my work is guided by the premise that each individual holds within them the capacity to understand and heal themselves. My role is to facilitate a connection to this capacity, which allows my patients to feel more alive and fulfilled.